- a small cotton or muslin baby cloth to be able to wipe your hands, sweat or clean things. a lot of water all the time and make sure you bring electrolytes with you, as well as diarrhoea pills, paracetamol and travel sickness pills if you're not keen on driving lots. is only available during your overnight stay in Abaala Village and there is a generator in Hamed Ela military camp which you can use for a fee. - very high (over 40 degrees) temperatures non-stop for a few days. - not sleeping on a normal bed for 3 nights and not sleeping much in general. The sleep at the volcano is only 3-4 hours long and you sleep on a mattress placed on the ground under the night sky. 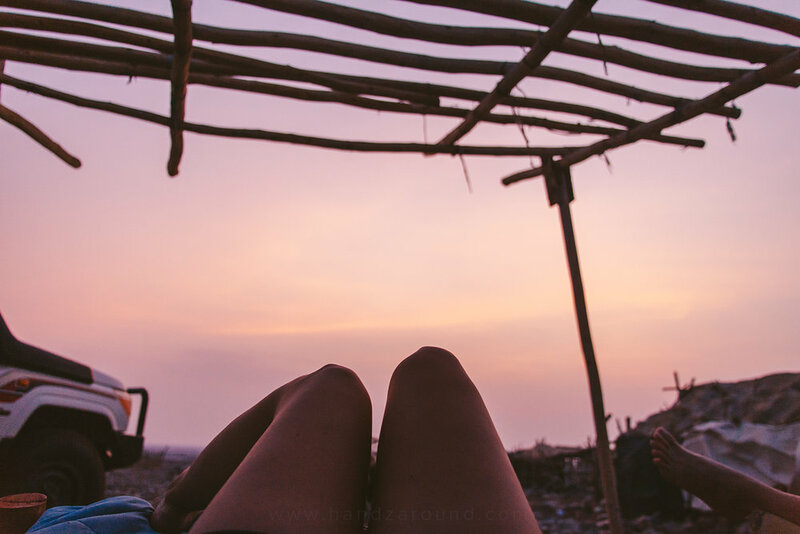 The night at the Abaala Village is spent on a mattress in a shared room in a local homestay and the night in Hamed Ela camp is spent on an Afar bed ( a wooden platform with thick ropes tied between its sides and the mattress placed on top of it). It's good to have a sleeping pill with you when you sleep in Hamed Ela because the sleep is quite long (over 8 hours) but the heat, donkeys making noises and people waking up early to prepare breakfast might keep you awake. We had a great night thanks to a sleeping pill each, but fellow travellers were exhausted after not being able to sleep throughout the night! 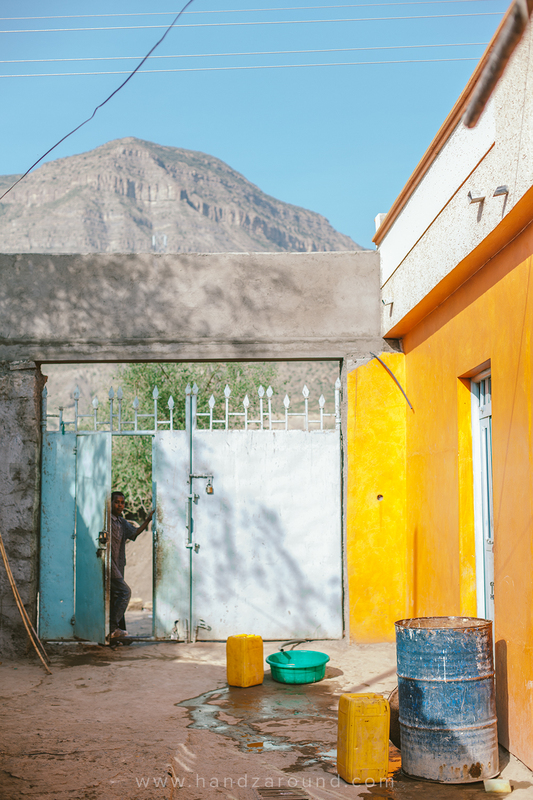 - not having a normal shower and not using a normal toilet for four days - there is an African cold bucket shower and drop down toilet in Abaala Village, and a bucket with water available in Hamed Ela camp. In other places you need to use 'natural toilet' as you go. View from our Afar beds: it may not have been the most comfortable night but the sunrise definitely made up for that! is available only in the car and it can give you a nice (but short) break from the heat during the day. to travel whoever you are - a single girl, a single guy, a couple, a group of friends or a family (although not sure how small kids would cope physically). are provided. The water is drinking and bottled and there are three hearty meals of usually pasta or rice a day, but bring some dry biscuits with you in case you don't like the food or can't look at pasta (since I was throwing up the first day of the tour, I could not look at pasta for a couple of days!). The LifeStraw bottle, which you can fill up from the tap, waterfall or any source of non-drinking water, is also great if you want to have some extra water to drink just in case. and don't give anything to children or people who beg for money, water or cookies on the way - not only does it make Westerners be perceived in their minds as the ones whose only aim is to give, but it also teaches them that it's more beneficial to beg than to go to school or work. In the moment it might make them feel better, but in the long term it's destroying their lives. for an unforgettable adventure and astonishing views!!! that will ensure you're safe! We traveled with ETT and we felt safe at all times. More than that, our guides Fisha, Getaw and our driver Eyob made our tour enjoyable and helped us so much when we needed help with carrying our backpacks, looking for our drone that got lost in the desert (more about it in our next story about the following days of the Danakil Depression tour!) and making our drives and sleeps comfortable. 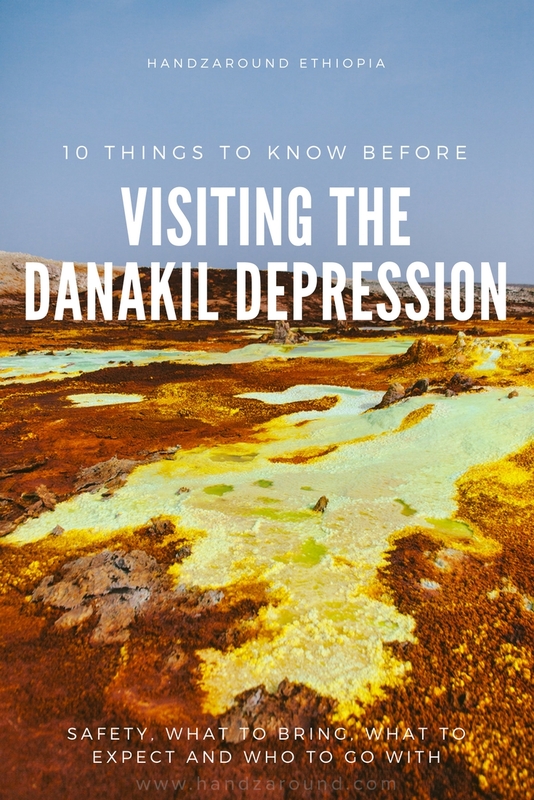 If you want to travel with ETT, their four day Danakil Depression tour is 600 USD. 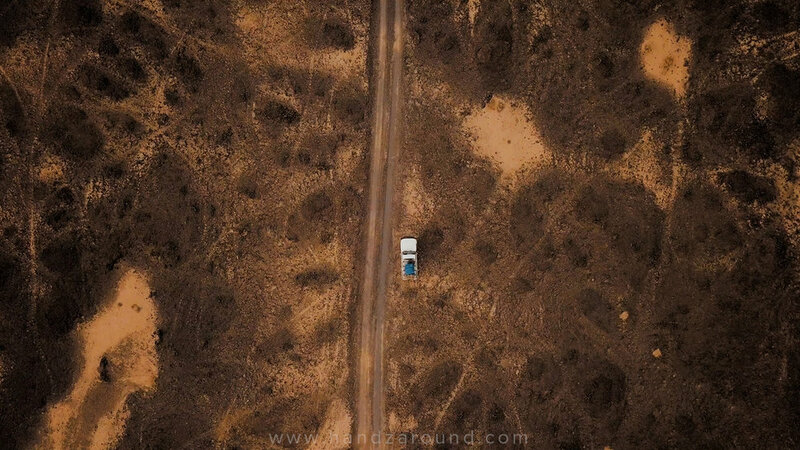 The price might seem high for budget travellers, but you need to take into consideration that you're travelling in a great, comfortable and safe 4x4 car, you're travelling in a convoy with local policemen to ensure your safety and you have all your water, food, guide and entrance fees included. Moreover, sleeping e.g. on the ground at the top of the volcano might seem like it's not worth the price but you should know that the places to sleep are rented from Afar people for at least 200 birr (8,5 USD) each! If you're not keen on paying that much, ETT also offers tours for three days (500 USD) and two days (300 USD visiting only Dalol or 400 USD visiting Erta Ale volcano) which are cheaper and you see a similar amount of things but it's more rushed and you get less sleep. We were guests of ETT but as always all the opinions in this article are our own. DID YOU find it useful IT? PIN IT!